As you prepare to make a fresh start this spring, consider the roles your home plays in your life. Home is where you eat, relax, prepare, create, entertain, listen, and serve. Each room has a purpose, but they often overlap. That means you have books, clothes, cleaning supplies, etc. in more than one place. This year, let’s focus our efforts on the roles your home serves rather than honing in on each room. 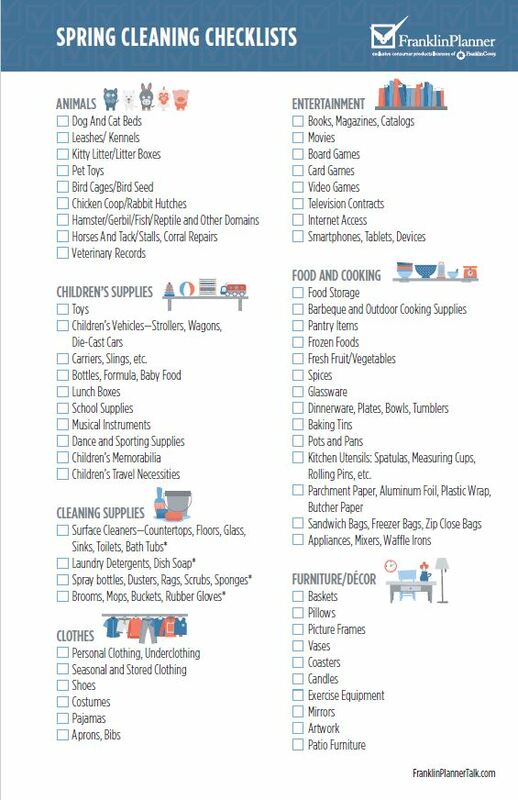 Thank you for the cleaning checklist. Does Franklin Covey have plans to release new leather colors for the vintage aurora classic size? Yes, we currently have a blush pink, red, and teal with a new color coming this winter! Wonderful tips and thank you for sharing this post! 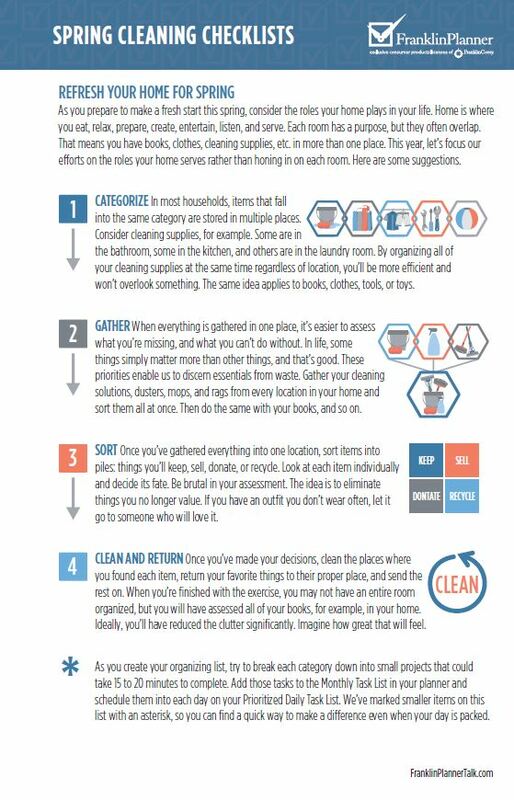 I needed some guidance for my upcoming spring cleaning at home! This post is wonderful. 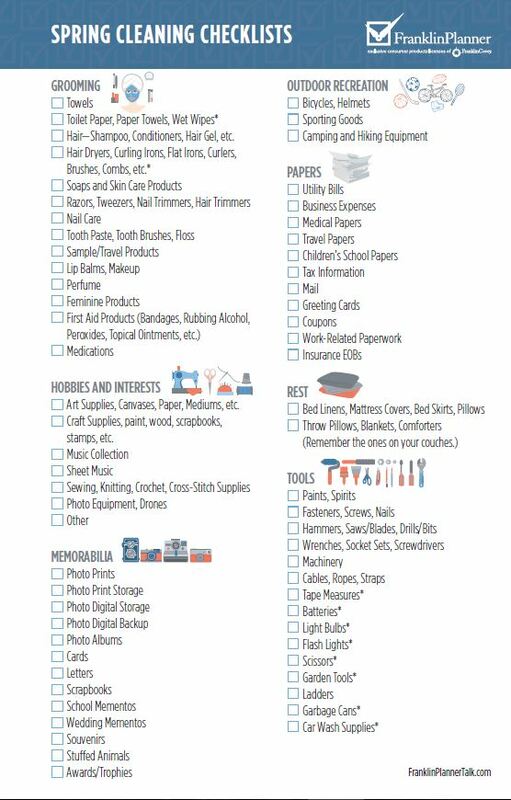 Your checklist is updated. Great work!